JPRO appreciates the students and faculty in the many wonderful educational programs in Jewish communal leadership. For more information, visit the individual program’s website. For over 40 years, the School of Jewish Nonprofit Management (formerly the School of Jewish Communal Service) has provided a superior educational experience for generations of graduate students pursuing careers as Jewish professional leaders. The SJNM is part of the Los Angeles campus of Hebrew Union College-Jewish Institute of Religion (HUC-JIR), which also includes the Rabbinical School and the Rhea Hirsch School of Education. The campus is a unique environment, bringing together future professional colleagues… communal professionals, rabbis and educators… to learn from each other and to develop their Jewish professional networks. Students who are interested in combining Jewish Studies with Management Studies, people who are interested in working within the Jewish communal world, should consider the UJ’s MAJCS program. The course of study provides the opportunity to study and work together with students in the UJ’s graduate education program, students working towards the MBA, and with rabbinic students in the Ziegler School. It is designed to provide breadth through covering subjects in five areas: management, Jewish history, Jewish sociology, Jewish law and ritual, and Jewish texts. For additional depth, each student will select three optional courses to supplement the core courses for a total unit count of 58. Each student will complete 600 hours of internships in federations and/or other Jewish organizations to learn the sorts of job skills that enable one to succeed in an exciting and challenging environment. The course is completed by the writing of a Master’s thesis. Spertus Institute’s Center for Jewish Leadership is rooted in the belief that great Jewish communities need great leaders. Its programs transform Jewish life by cultivating innovative approaches to leadership development, thus enhancing the abilities of Jewish professionals and lay leaders. Programs provide a unique and holistic approach to Jewish leadership that seamlessly integrates deeper understanding of Jewish life, culture, and history with insights and best practices from the worlds of business and nonprofit leadership. Participants are able to strengthen their knowledge, effectiveness, creativity, and strategic agility, magnifying the vibrancy of their communities and advancing the missions of the organizations they serve. Offerings, for communal professionals from across North America, include the MA in Jewish Professional Studies, Executive MA in Jewish Professional Studies, Certificate in Jewish Leadership, and Certificate in Jewish Leadership for Educators. Baltimore Hebrew Institute (BHI), located in the College of Liberal Arts, is focused on supporting the growing Judaic studies degree programs and courses at Towson University, cultivating a vibrant, cohesive community for MA students in Judaic studies, providing adult learners with an array of continuing education course offerings, special programs and community lectures in Judaic studies. The Judaic Studies MA programs at Towson University provides opportunities for study abroad, internship and apprenticeship options, strong student-professor relationships and a 100% job placement record. The Hornstein Jewish Professional Leadership Program trains students to meet the challenges of a fast-changing Jewish community. We prepare the next generation of Jewish leaders for service in North American and international Jewish organizations. Jewish leaders of the 21st century must be able to understand trends, frame issues, and apply professional skills in new and creative ways. To address these challenges, Hornstein offers students top-quality scholarship, intensive professional training and carefully selected field experiences. Hornstein has four unique dual-degree programs, all of which span five semesters for a total of 21 months. Students in all programs have field experiences in innovative Jewish organizations, are mentored by outstanding Jewish professionals and participate in seminars in Israel. Dual MBA-MA in Jewish Professional Leadership -This innovative program prepares future Jewish community executives with the full complement of MBA/non-profit skills and specialized knowledge of Judaic studies and contemporary Jewish life. It is specially designed to provide a strong foundation in management practices and Jewish professional studies. In addition to courses with scholars throughout the university, students take management courses focused on non-profit organizations, as well as courses specific to the Jewish community. Dual MPP-MA in Jewish Professional Leadership – This new program blends the Heller School’s public policy curriculum with the Hornstein Program’s integrated approach to Jewish leadership training. By preparing professional leaders with a full array of policy analysis and development skills, as well as specialized knowledge of Judaic studies and contemporary Jewish life, it trains students to design and implement innovative solutions to the Jewish community’s most critical problems, and to analyze and reform existing practices. Dual MA in Jewish Professional Leadership and Near Eastern and Judaic Studies –This rigorous program prepares future Jewish leaders to understand contemporary Jewish issues within the context of Jewish history, culture and tradition. The program is designed to provide the tools necessary to articulate a leadership vision for the Jewish community. Students have the opportunity to study with some of the foremost Judaic scholars in the world and to consider how what they learn can be put to practical use in shaping 21st century Jewish life. Dual BA-MA in Jewish Professional Leadership – The Hornstein BA/MA degree supplements undergraduate study in Near Eastern and Judaic Studies, Hebrew, or Yiddish with a master’s degree in Jewish Professional Leadership. Achieved in a fifth (graduate) year of study, the Hornstein MA provides the professional skills and deep knowledge of the American and world Jewish communities that will position graduates for work in a wide range of careers in the Jewish community. The University of Michigan’s Jewish Communal Leadership Program (JCLP) offers a distinctive educational opportunity for emerging leaders committed to helping Jewish communities meet 21st-century challenges while also addressing broader social concerns. Combining academic training in social work and Judaic Studies, hands-on engagement with contemporary communal challenges, and experiential training in non-profit management, JCLP students become active participants in the work of imagining and building a Jewish communal future. The Jewish Professional Leadership (JPL) Program is the umbrella for the two dual-degree programs through The Graduate School of JTS and Columbia University. Students in the JPL Program participate in anintegration seminar which allows them to explore the intersection of their two masters as well as other relevant issues in the Jewish community. JPL students are simultaneously admitted to both schools and attend them concurrently. Upon completion of the program, students receive both an MA in Jewish Studies from JTS and an MS in Social Work from Columbia. The Jewish Professional Leadership (JPL) Program is the umbrella for the two dual-degree programs through The Graduate School of JTS and Columbia University. Students in the JPL Program participate in an integration seminar which allows them to explore the intersection of their two master’s as well as other relevant issues in the Jewish community. Students study simultaneously at both schools and are awarded two degrees: Master of Arts in Jewish Studies (JTS) and Master of Public Administration (Columbia). At The Graduate School, students take twenty-for credits. In order to fulfill prerequisite requirements, a student may need to take additional Jewish studies and Hebrew courses prior to graduation. An additional six credits toward the degree are transferred from SIPA. The Wurzweiler School of Social Work at Yeshiva University (New York City) offers a Certificate in Jewish Communal Service in conjunction with a master in social work (MSW). The program emphasizes a broad education in social work and knowledge of the Jewish community. The Certificate program includes three specialty elective courses and a second year field work assignment in a Jewish agency. It also offers a series of educational enhancements including the possibility of a study seminar in Israel, participation in the annual conference of federation professional and lay leadership, periodic guest speakers, and visits to Jewish communal agencies in the NY area. 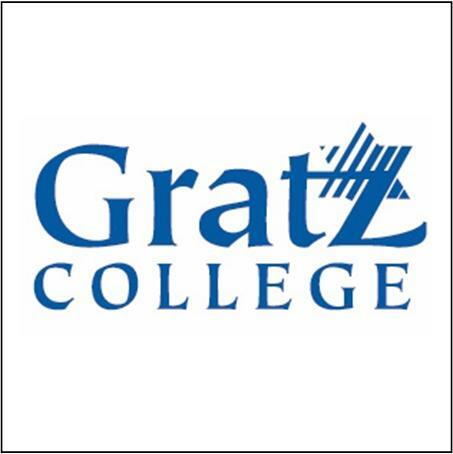 As the first independent college for Jewish studies in North America, Gratz College is a renowned academic institution, providing education rooted in Jewish values. Gratz College programs fully prepare graduates to serve the community with practical management skills and a keen insight into the contemporary Jewish community. With courses offered online and on campus, our practitioner oriented programs are easily accessible to working professionals. A Joint Program with the University of Pennsylvania affords students the opportunity to earn a Jewish Communal Service degree (either a graduate-level certificate or a MAJCS) and an M.S.W. from The University of Pennsylvania.